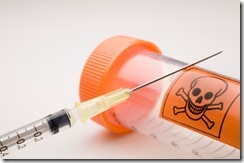 SQL Injection and Lethal Injection... They are both dangerous and they can be easily fatal. But how? 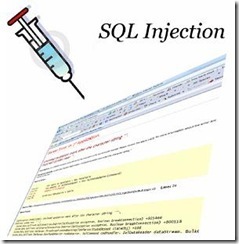 What is SQL Injection and how it can effect my project? The answers are in this blog post. Writing a software, web application code is a real deal. It requires a good quality of talent on programing languages, appropriate analectic approach and most of all, a good prescience on your project. The things I have mentioned are very important and basic features of a qualified programmer. I am not a student of a computer related course and I haven’t been but I support that educational background on computer science makes a difference on the quality of programmer. But the diploma or the course certificate is not enough. Little mistakes could be unforgivable in programming world and your diploma or certificate cannot get those mistakes back or cover them. Please, if you are creating a project with database structure, for the sake of programming, be aware of the SQL injection and its effects. It is not a shame that you haven’t heard of that term. 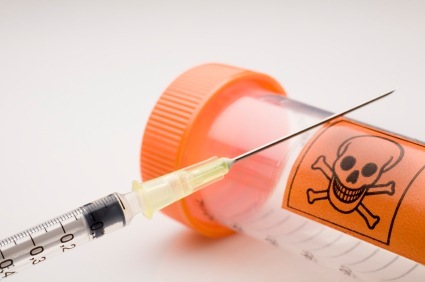 What the shame is to write lines of codes creating the proper connection with your database without considering the effects of SQL injection ! So the definition supposed to clear the question marks but it might not. Let’s demonstrate. Imagine that you have a web application running on the web and it aims to provide an user interface to your customers to view their account details. 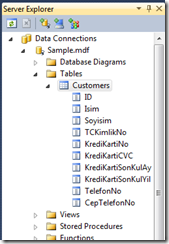 The demo application is pretty small and we will only create 2 pages with one database table. Page 1 will be the wrong scenario and 2nd one will be the right. In this application, we will see how the end user can easily display the sensetive data you migh have in your database. 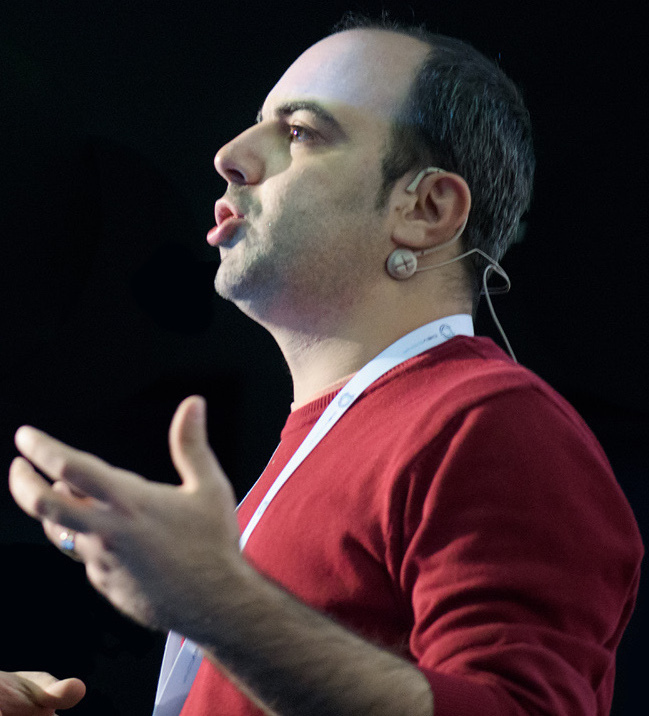 "I would like to say this, in a nutshell, nobody (I mean a programmer who knows what he/she is doing) developed a kind of application for that kind of purpose but to demonstrate the topic, I have done something like that. The project is not supposed to be a real world example." I won’t dive into details, I will post the project code so your could download and dig it letter. Boom, you have been hacked ! This is the SQL Injection my friends. This thing is easy to apply and the worse part, this mistake is being made often. This is SQL Injection. 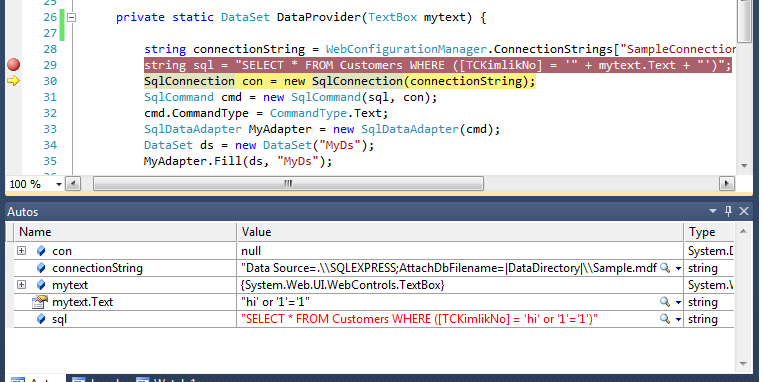 Basically, additional SQL syntax has been injected into the statement to change its behavior. 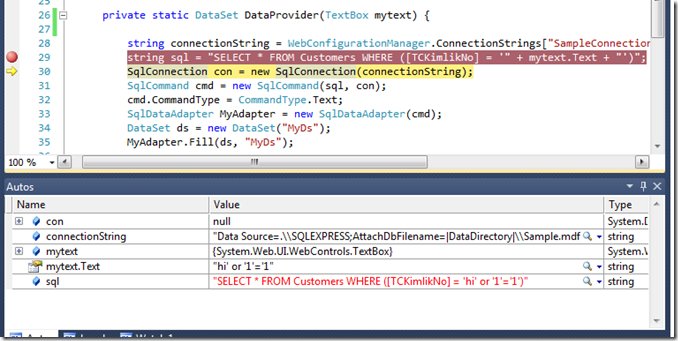 The single quotes are string delimiters as far as T-SQL is concerned, and if you simply allow users to enter these without managing them, you are asking for potential trouble. Easy ! Just do not create the world from scratch. Paramaters will protect your data if your building your project this way but another safe way is to use LINQ to SQL and Entity Framework to protect your project against SQL Injection.